What do you get when you mix reality television with an obstacle course? American Ninja Warrior. Now in it’s 9th season, the show is a glitzy display of human strength that one former competitor has decided to take off the road system. Cody Johnston operates a ninja-style training gym in Sitka that he practices at with his family. 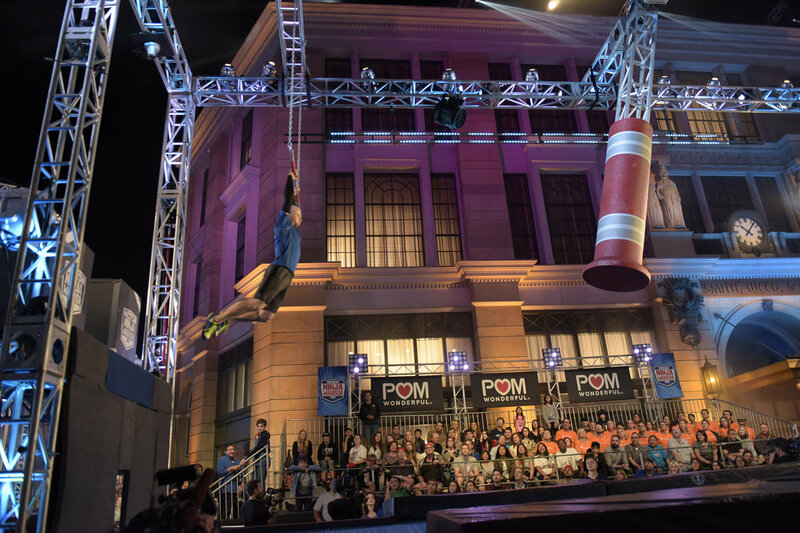 The only thing standing between Cody’s 12-year-old daughter, Preslie Johnston, and ninja warrior glory is a wall that’s three times her height. 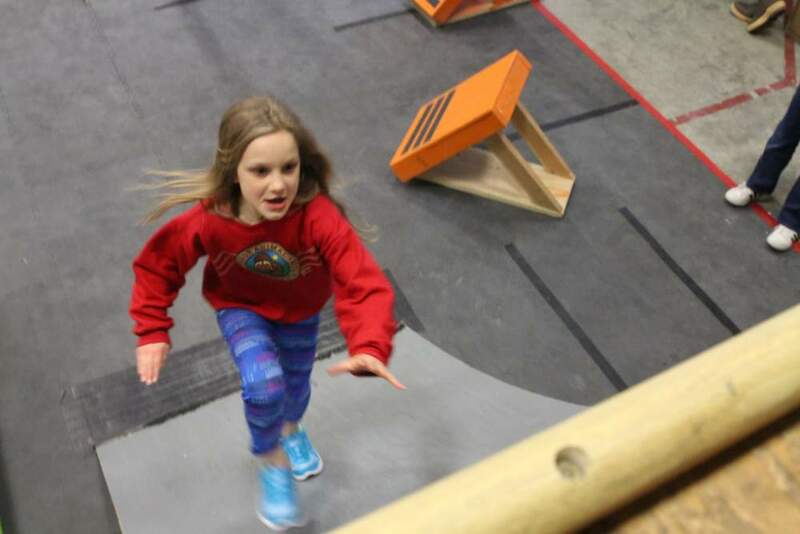 Preslie is about to tackle the warped wall – the most famous obstacle from American Ninja Warrior. Eyes fixed and arms bent, she sprints directly up the 12-foot slope – pushes off her toes – and reaches upward, just catching the ledge with her fingertips. Grinning, she then kicks her feet away and her body is now perpendicular to the ground, like a flag on a flagpole defying gravity. “I want to see these kids using their imagination to overcome obstacles,” Cody said. 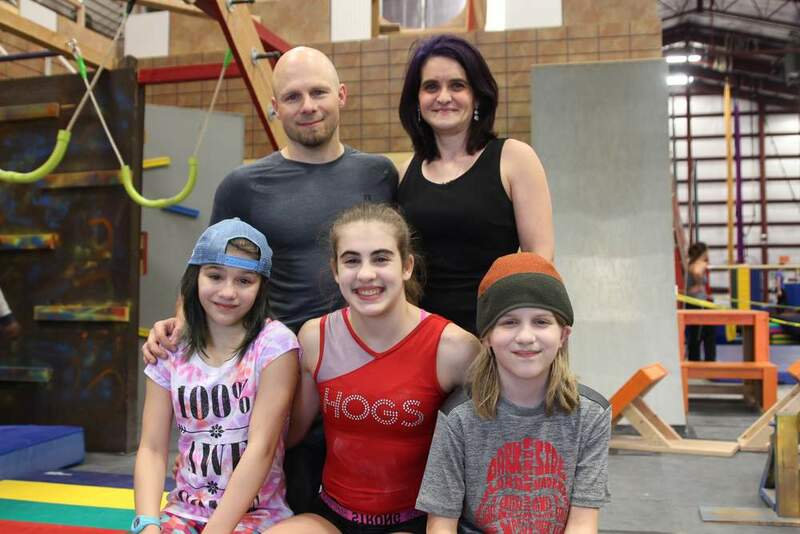 Cody Johnston’s family’s ninja warrior training gym is called KRONOS. “My son Chase (age 12), my daughter Riley (age 15), and my daughter Preslie (age 15) over there,” Johnston said. Cody’s got three kids in total and a wife of 18 years, Tara. While Cody teaches classes cargo shorts, Tara balances the books in four-inch heels. And their gym is dedicated entirely to workouts that feel like playtime. 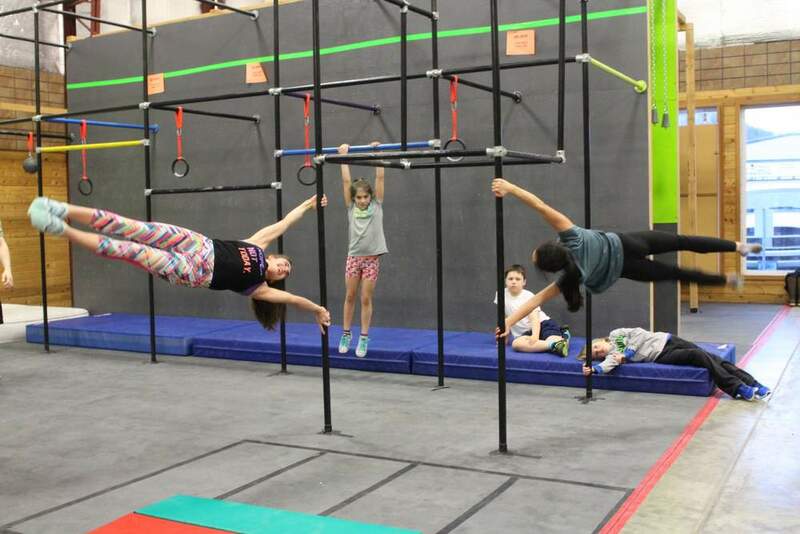 So, instead of treadmills and dumbbells, gym members scale cargo nets, swing from monkey bars, and maneuver obstacles with names like the “Devil’s Step,” and “Salmon Ladder” – all inspired by the famous TV show, American Ninja Warrior. Johnston got hooked in 2013. “I was in Hot Springs, Arkansas,” Johnston said. Johnston was out of the navy then and studying for a nursing degree. The image stuck with him: of a man jumping up a ladder with arm power alone. He and his kids started looking for rock to climb and scramble across while out hiking. And something clicked. “Somewhere outside the navy and somewhere in my undergrad degree, I forgot I had a kid locked away and I just reconnected with it,” Johnston said. And Cody’s kids were super impressed by what their Dad could do. They insisted he apply for American Ninja Warrior, season 7. Chase, the boy, even made a model ninja course out of legos, which Cody filmed using stop motion animation. Out of thousands of entries, Cody’s caught the attention of the producers. The whole family was invited to watch Cody compete in a special military edition of American Ninja Warrior. The course was awash in Hollywood lighting, staged in front of a huge battleship with cameras from all angles. There are former competitors milling about. It was pretty distracting and when Cody’s big moment came, he slipped up on something small. “Well, it looked like he got cocky and stuff and he went to go run and he overshot the trampoline and he buckled his knees and missed the whole cargo net,” Cody’s daughter Riley said. If Riley sounds disappointed, she’s not. In fact, she promptly drew up a new workout routine and encouraged her dad to keep trying. The whole Johnston clan seems to work this way – like one unit driving each other up the warped wall. And when they fall, to at least make it look cool. It’s left an impression on his kids. Ninja Warrior isn’t just about the superhuman agility of the contestants. You need to have a good back story – a reason why you push your body to it’s fullest potential. And for Cody, his reason is pretty clear. And at the end of the day, perhaps being a superhero is even cooler than being a ninja.